In the complex world of football betting, penalties can often have a huge influence upon the outcome of any given game and with the absence of VAR in the Premier League and Champions League – a dodgy refereeing decision can cost punters big money. The Uni Bet Penalty Payback Offer provides punters with a safety net should they lose a bet in a fixture containing a penalty – making it an enticing proposition for seasoned football punters. What is the Uni Bet Penalty Payback Offer? The Uni Bet Penalty Payback Offer provides punters with an element of stability when betting on both the Champions League and Premier League should they lose a bet on a game with a penalty awarded within it. Uni Bet refunds all losing bets in the first/last goal scorer, correct score, half time and full time markets should a penalty be awarded within the game. How does the UniBet Penalty Payback Offer work? 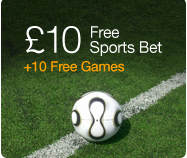 Place a pre-match bet on the following markets: first/last goal scorer, correct score, half time or full time. Should the bet lose and a penalty be awarded within the losing market, a cash refund will be awarded to the account within 48 hours. Safety Net – Penalties in elite level football are awarded at the referee’s discretion and mistakes can happen due to human error. The UniBet Penalty Payback Offer provides a safety net for punters in that if their bet is lost due to an error, the stake is returned to them. Specific – Punters that bet on the Champions League and Premier League are often very knowledgeable in those specific fields. The UniBet Penalty Payback Offer provides a solid bonus for punters who are looking to win big in their specific footballing markets. The Uni Bet Penalty Payback Offer perhaps doesn’t offer the big winnings of some of its competitors but for football punters that have been burned too many times by bad decisions, the UniBet Penalty Payback Offer offers a perfect safety net should a dodgy decision cost them a big win.